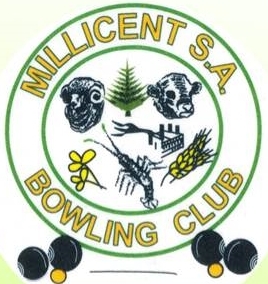 Millicent bowling club held the Kimberly Clark 2-4-2 Bowling competition on Thursday 26th September with 45 players attending. With a tight tussle winners: (in a tied game) was the triple team of Rob Chambers, Alan Thompson and Rod Harkness (21+0) against pairs team of Jim Earl and Brian Atkinson (19+0), Chris Earl and Terry Barnes (30+9) Bill Fennel and Carl Schapel (31+1), Glenn Schapel and Ray Doecke (31+4,) Ed Fitter and Neil Whelan (31+4), Ron Trewin and Dirk Pietersma (32+5), John Eldridge and Phillip Ryan (32+8), Peter Hyland and Jeff Hollingsworth (32+8). Runners up for the day team of Brentley Thomas and Peter Varcoe (33+8) and winners were Max Richards and Rod Gibbs with a great score of (34+11). Today was the first of our twice monthly meat tray raffles supplied by Millicent Meats. And the lucky winner (after some minor protests) was lucky Alan Thompson. Categories: Bowls, Community Groups, Human Interest, Millicent, Sport, Wattle Range | Permalink.